As a result of considerable urban growth in recent decades, it is now part of one continuous urban area together with Patan to the south. Kathmandu is the capital city of the Federal Democratic Republic of Nepal, the largest Himalayan state in Asia. It is the largest metropolis in Nepal, with a population of 1.4 million in the city proper, and 6 million in its urban agglomeration across the Kathmandu Valley, which includes the towns of Lalitpur, Kirtipur, Madhyapur Thimi and Bhaktapur. Kathmandu is also the largest metropolis in the Himalayan hill region. According to a census conducted in 2011, Kathmandu metropolis alone has 2.5 million inhabitants, and the agglomerate has a population of more than 3 million inhabitants. The metropolitan city area is 50.67 square kilometres (19.56 sq mi) and has a population density of 3000per km² and 17000 per km square in city. The city stands at an elevation of approximately 1,400 metres (4,600 ft) in the bowl-shaped Kathmandu Valley of central Nepal. It is surrounded by four major mountains: Shivapuri, Phulchoki, Nagarjun, and Chandragiri. Kathmandu Valley is part of three districts Kathmandu, Lalitpur, and Bhaktapur, has the highest population density in the country, and is home to about a twelfth of Nepal's population. Historically, the Kathmandu Valley and adjoining areas were known as Nepal Mandala. Until the 15th century, Bhaktapur was its capital when two other capitals, Kathmandu and Lalitpur, were established. During the Rana and Shah eras, British historians called the valley itself Nepal Proper. Today, Kathmandu is not only the capital of the Federal Democratic Republic of Nepal, but also the headquarters of the Central Development Region of Nepal. The Central Region comprises three zones: Bagmati, Narayani, and Janakpur. Kathmandu is located in the Bagmati Zone. Kathmandu is the gateway to tourism in Nepal. It is also the nerve center of the country's economy. It has the most advanced infrastructure of any urban area in Nepal, and its economy is focused on tourism, which accounted for 3.8% of Nepal's GDP in 1995–96. Tourism in Kathmandu declined thereafter during a period of political unrest, but since then has improved. In 2013, Kathmandu was ranked third among the top 10 travel destinations on the rise in the world by TripAdvisor,and ranked first in Asia. Kathmandu has been the center of Nepal's history, art, culture and economy. It has a multiethnic population within a Hindu and Buddhist majority. Religious and cultural festivities form a major part of the lives of people residing in Kathmandu. Tourism is an important part of the economy as the city is the gateway to the Nepalese Himalayas. There are also seven casinos in the city. In 2013, Kathmandu was ranked third among the top ten upcoming travel destinations in the world by TripAdvisor, and ranked first in Asia. Historic areas of Kathmandu were devastated by a 7.8 magnitude earthquake on 25 April 2015. Nepali is the most spoken language in the city, while English is understood by the city's educated residents. The city has a rich history, spanning nearly 2000 years, as inferred from inscriptions found in the valley. Religious and cultural festivities form a major part of the lives of people residing in Kathmandu. Most of Kathmandu's people follow Hinduism and many others follow Buddhism. 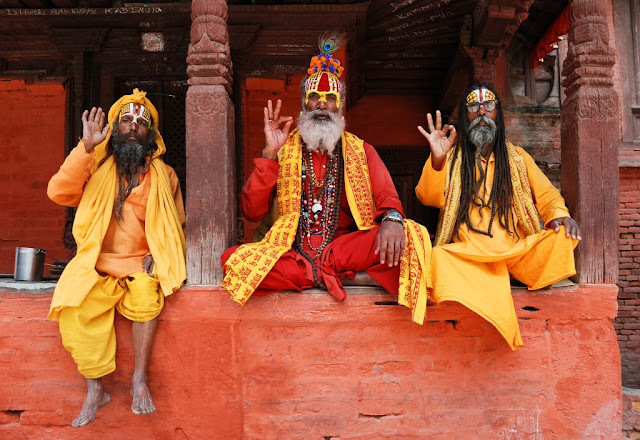 There are people of other religious beliefs as well, giving Kathmandu a cosmopolitan culture. Nepali is the most commonly spoken language in the city. English is understood by Kathmandu's educated residents. Kathmandu's sister cities Lalitpur Patan and Bhaktapur are integral to Kathmandu's cultural heritage, tourism industry, and economy; therefore UNESCO's World Heritage Site lists all three cities' monuments and attractions together under one heading, Kathmandu Valley-UNESCO World Heritage Site. Kathmandu Valley is in the Warm Temperate Zone of Nepal elevation ranging from 1,200–2,300 metres (3,900–7,500 ft, where the climate is fairly temperate, atypical for the region. This zone is followed by the Cool Temperate Zone with elevation varying between 2,100–3,300 metres (6,900–10,800 ft). Portions of the city with lower elevations have a humid subtropical climate, while portions of the city with higher elevations generally have a subtropical highland climate. In the Kathmandu Valley the average summer temperature varies from 28–30 °C (82–86 °F). The average winter temperature is 10.1 °C (50.2 °F). The city generally has a climate with warm days followed by cool nights and mornings. Unpredictable weather is expected given temperatures can drop to 3 °C (37 °F) during the winter. During a 2013 cold front, the winter temperatures of Kathmandu dropped to −4 °C (25 °F), and the coldest temperature was recorded in January 10, 2013 at −9.2 °C (15.4 °F). Rainfall is mostly monsoon-based about 65% of the total concentrated during the monsoon months of June to August, and decreases substantially (100 to 200 cm (39 to 79 in)) from eastern Nepal to western Nepal. Rainfall has been recorded at about 1,400 millimetres (55.1 in) for the Kathmandu valley, and averages 1,407 millimetres (55.4 in) for the city of Kathmandu. On average humidity is 75%. Kathmandu's Tribhuvan International Airport, is the largest and only international airport in Nepal, located 5.5km east of the popular tourist neighborhood of Thamel. Whilst Kathamandu lacks direct flights to most of Europe, Africa, North and South America and Australasia, the airport is well connected and it is usually possible to reach Kathmandu with only one change of flight, in most cases using the same airline. - Nepal Airlines - Bangkok, Bangalore, Delhi, Doha, Hong Kong, Kuala Lumpur, Mumbai. - Jet Airways - Delhi, Mumbai. - Bhutan Airlines - Paro, Delhi. - Druk Air - Paro, Delhi. - Air Arabia - Sharjah. - Fly Dubai' - Dubai. - Etihad Airways - Abu Dhabi. - Qatar Airways - Doha. - Oman Air - Muscat. - Turkish Airlines - Istanbul. - Air Asia - Kuala Lumpur. - Malaysia Airlines - Kuala Lumpur. - Silk Air - Singapore. - Thai Airways - Bangkok. - Air China - Chengdu, Lhasa. - China Southern Airlines - Guangzhou. - China Eastern Airlines -; Kunming, Shanghai. - Sichuan Airlines - Chengdu, Lhasa. - Cathay Dragon - Hong Kong. - Korean Air - Seoul. Commercial domestic flights are available to/from Bhadrapur, Bhairawa, Bharatpur (Nepal)l, Biratnagar, Dhangarhi, Janakpur, Nepalganj, Pokhara, Simara, and Tumling Tar. Domestic flights take about an hour and cost USD100-175. The primary domestic airlines are air viva, Yeti, Nepal Airlines, and Buddha Air. Domestic flights are almost always delayed and afternoon flights run the risk of cancellation as delays from the morning compound. Prices for domestic flights are two tier. Nepalese citizens pay significantly less than foreign visitors. While flights can be booked online it is often cheaper to book them in Nepal through an agent. Your luggage is vulnerable entering and leaving this airport. Do not keep anything of value in checked bags, and if you lock the bag, the zipper may be forced open and broken. There is little to no security for your bags. You should also be aware that most luggage is treated quite poorly in Nepalese airports. It is recommended that all fragile and valuable items be kept in your carry on luggage. Be aware that when you collect your luggage, an airport baggage cart collector may appear and assist you with a baggage trolley. Unless you insist on handling your own baggage, your items will be loaded on the trolley and will be conveyed with you to the entrance of the terminal. You will then be expected to pay a tip to this person. Arriving just beforehand in Nepal, you will often only have larger denomination foreign currency in your pocket, making the issue of a tip a bit of a problem. It's fine to pay the tip in foreign currency but make sure you have some small bills or coins on hand even a dollar or two will be significant to Nepalis. If you keep the exchange receipt, you could change back to your original currency at the rate on the receipt. Pre-Arranged Hotel Transfers are available from most hotels and are included in most trekking/touring packages. Representatives will be standing outside the arrivals doors behind a barricade and will hold a sign identifying themselves. This form of transport is particularly helpful if you are a novice to Nepal, arriving late at night and unfamiliar with how things work in the country. Prepaid Taxis cost NPR 700-800 to Thamel. Don't give the receipt to the driver until you are at your destination and you are satisfied, as this serves as the driver's payment. If the driver asks for more money, don't give it. There is no culture of tipping taxi drivers. Regular Taxis are an easy way to get to the city but be prepared to negotiate the price beforehand, heavily. The cheapest rate that you can get to Thamel is NPR400-500, or, if you go to the end of the parking lot and catch a taxi there,where the taxis do not have to pay the airport entrance fee, you may be able to get a rate of NPR200-300, which is close to the standard meter rate. Taxi drivers may try to extract some commission by showing you one or more hotels on the way. Update Nov 2015: due to fuel shortage taxis can charge up to 1500 rupees for the ride to/from town. Local buses pickup and drop-off at the airport gate, 0.5km from the terminal. The buses generally do not have fixed schedules and are often crowded and painful but cost only NPR10-20. Ask the cashier about where the bus stops. To get from the airport to Katmandu, turn right when you get off of the terminal. Go to the roundabout. Then take the exit and walk for 2min until the gate. Go on your left on the main Street to the bus station. Ask the buses if they go to Ratna Park (10min walk from Thank) or other destinations. To get from Katmandu to the airport buses start from the Purano Bus Park near Ratna park. You can place your bag on top and sit there if you wish and as it's the first stop you get the seat too. The buses wait till full before they go. Allow plenty of time, as the ride may take 1h. Buses arriving from the border with India, Pokhara, and Chitwan terminate in Kathmandu either at the Balaju Bus Station (north) or the Kalanki Station (south). From there, there are 'mini buses' which criss cross the main roads of the city for about NPR20. Tourist buses and crowded local buses/microbuses travel the 200km journey between Kathmandu and Pokhara almost every 15 minutes starting at 07:30 through late afternoon. Night buses are available, but the ride is painful. Greenline operates a convenient bus every morning between the popular tourist areas of Thamel in Kathmandu and Lakeside in Pokhara USD20, lunch included. The road is winding and includes many switchbacks and offers wonderful views of hills and rural Nepalese lifestyle. The drivers will generally not drive too fast but some will calmly weave in and out of the stream of opposing traffic and slam on the brakes when a stop is required, making for a scary ride if you look out the front window. During the rainy season, there may be problems with the roads and flying may make more sense. Buses run between Kathmandu and the Indian cities of Patna, Gorakhpur, Varanasi (INR1,200), and Lucknow. Buses and minivans run between Kathmandu and the Nepalese border town of Kodari, across the Sino-Nepal Friendship Bridge from the Tibetan city of Zhangmu / Dram. The 123km journey takes 6+ hours and costs NPR500. Buses depart until the early afternoon. Private jeeps at USD60 for up to 4 people are a faster option, and can make this journey in 4 hours. If you fly in, be sure to pick up a free Katmandu Valley map at the airport. The first thing some visitors notice about Kathmandu is the general lack of street names except for major roads such as Tri Devi & Ring Road loops around the city & address numbers. In most cases directions are given relative to the nearest chowk or tole an intersection or square, often with a market or a noteworthy location or building such as a temple or restaurant. In the tourist district of Thamel, the Kathmandu Guest House & Hot Breads bakery are two main landmarks. It is possible to get around Kathmandu by foot, but it is not always a pleasant walk & you may want to consider a public transportation for anything more than wandering around a specific area. Rickshaws can be found around the tourist area of Thamel and taxis are everywhere. All taxis have meters which should be used - simply say 'no meter no pay' if the driver refuses to use the meter and move to the next taxi. Before 9pm rates start at NPR14 and after 9pm they are 21NPR. If a driver uses his meter it is courteous to tip up to one third is about the norm. Alternatively, negotiate a price before you get in a taxi or Rickshaw. A negotiated price will typically be two to three times the metered rate unless you are a very good negotiator. Prices go up after dark and in less busy areas. Taxis are easy to find; they park near all major streets & have fare-meters. After 22 it can be very difficult to find taxis away from central tourist areas or major hotels. It should be possible to hire a taxi for 300rs one-way to Patan & 800-1,200 rs to Bakhtapur from Thamel or the airport. For longer trips & to hire a taxi by the day negotiate with the driver. Haggle hard and you will easily find another driver if you are not satisfied. The meter is always your best bet if you are not confident enough to negotiate. However it should be avoided if the driver suggest using it, as it is probably fixed and will overcharge you. After 11PM, taxis can be harder to find outside Thamel. There are also buses for longer trips within the valley, ie Patan, Bakhtapur, Boudha, etc. that can be used for trips in & around around town. Blue buses & green buses constantly drive in circles/loops around the city on "Ring Road" - for 20 to 35rps - depending on the distance. Every bus has a cashier/attendant who can tell you where it stops & alert you upon arrival. Riding the buses with the local people can be very pleasant & interesting but at the same time it is confusing as well as there are no proper signboards for navigating around. The buses are typically very old and rough. Local people are usually very friendly and helpful in case you are confused during the excursion. Having 5 and 10 rupee notes can be very helpful. From Thamel, it is about 1.5km walk to the Ring Road, and you can take the bus for many of the main attractions, saving money of a taxi/rickshaw. Swayambhu or Monkey Temple - A site on a hill overlooking the city with a large stupa and other Buddhist and Hindu iconography. One of the most sacred Buddhist sites in the country. There are 350 steps to the top - the back route is less steep but the views on the way up are not as nice. Aside from the views over the city and the ancient carvings in every available space, it's crowded with monkeys mingling with the visitors. The base of the hill is a 30 minute walk from Thamel,make sure you have a map as there are several confusing intersections along the way, or take a taxi or rickshaw. As with the Boudha Stupa, are plenty of Buddhist and Tibetan-inspired trinkets for sale. There are also drinks for sale at the top, and at least one small restaurant selling momos. For those that have their own transport or have difficulty climbing stairs there is a parking lot at the back entrance that significantly reduces the number of stairs that need to be climbed to gain access to the main compound. This is one of seven UNESCO World Heritage Sites in the Kathmandu Valley. Foreigners: NPR750 for a multiple entry pass. NPR200 for single entry. Boudha Stupa in Boudha. One of the most sacred sites for Tibetan Buddhism. This huge stupa is one of the largest in the world. It is located to the north-east of Dwarikas' Hotel and just to the north of the airport area. This is another World Heritage Site. Narayanhiti Palace Museum - This is the former Royal palace which was turned partly into a Museum and partly into the Foreign Ministry after the abolition of the monarchy in 2009. Now you can visit the splendid Halls of the main building of the palace. Thamel Chowk - a tourist neighborhood with many restaurants and shops. Freak Street - Historic street where western hippies seeking enlightenment would stay. Now just a few restaurants and hotels. Pashupatinath - An important Hindu temple to Shiva in the form of Lord of Animals. See monkeys, cremation, sadhus and meditation caves. Morning or sunset are great times to go. 1000 Rupees for foreigners, though you can sneak in through the park at the North side of the temple, as many locals do,beware of police though, who try to catch people doing exactly this. No entry inside the main temple for foreigners, though you can peer inside from the doorway. Also, there are stairs on the East side of the river leading to the Boudha Stupa a short walk away. Garden of Dreams / Kaiser Mahal - Relax in this beautiful and peaceful walled garden close to Thamel and the former Royal Palace. Beautifully renovated in partnership with Austrian government. Currently has two pavilions depicting two of the six annual seasons in the Hindu calendar. It has several expensive cafes and a bar. Nice toilets. NPR200. Budda Neelkanth Temple (Narangdham), (6km from Main Bus Park, Kathmandu). An Idol of Bhagwan Vishnu in a sleeping position surrounded by water is an extraordinary cool and calm experience. Air pollution is a major issue in Kathmandu. According to the 2016 World Health Organization's Ambient Air Pollution Database, the annual average PM2.5 concentration in 2013 was 49 μg/m3, which is 4.9 times higher than recommended by the World Health Organization. for annual average PM2.5. Starting in early 2017, the Nepali Government and US Embassy have monitored and publicly share real-time air quality data. The location and terrain of Kathmandu have played a significant role in the development of a stable economy which spans millennia. The city is in an ancient lake basin, with fertile soil and flat terrain. This geography helped form a society based on agriculture. This, combined with its location between India and China, helped establish Kathmandu as an important trading center over the centuries. Kathmandu's trade is an ancient profession that flourished along an offshoot of the Silk Road which linked India and Tibet. From centuries past, Lhasa Newar merchants of Kathmandu have conducted trade across the Himalaya and contributed to spreading art styles and Buddhism across Central Asia. Other traditional occupations are farming, metal casting, woodcarving, painting, weaving, and pottery. Kathmandu is the most important industrial and commercial center in Nepal. The Nepal Stock Exchange, the head office of the national bank, the chamber of commerce, as well as head offices of national and international banks, telecommunication companies, the electricity authority, and various other national and international organizations are in Kathmandu. The major economic hubs are the New Road, Durbar Marg, Ason and Putalisadak. The economic output of the metropolitan area alone is worth more than one third of national GDP around $6.5billion in terms of nominal GDP NR.s 550 billion approximately per year $2200 per capita income approx three times national average. Kathmandu exports handicrafts, artworks, garments, carpets, pashmina, paper; trade accounts for 21% of its finances.Manufacturing is also important and accounts for 19% of the revenue that Kathmandu generates. Garments and woolen carpets are the most notable manufactured products. Other economic sectors in Kathmandu include agriculture (9%), education (6%), transport (6%), and hotels and restaurants (5%).Kathmandu is famous for lokta paper and pashmina shawls. Tourism is considered another important industry in Nepal. This industry started around 1950, as the country's political makeup changed and ended the country's isolation from the rest of the world. In 1956, air transportation was established and the Tribhuvan Highway, between Kathmandu and Raxaul at India's border, was started. Separate organizations were created in Kathmandu to promote this activity; some of these include the Tourism Development Board, the Department of Tourism and the Civil Aviation Department. Furthermore, Nepal became a member of several international tourist associations. Establishing diplomatic relations with other nations further accentuated this activity. The hotel industry, travel agencies, training of tourist guides, and targeted publicity campaigns are the chief reasons for the remarkable growth of this industry in Nepal, and in Kathmandu in particular. Since then, tourism in Nepal has thrived; it is the country's most important industry. Tourism is a major source of income for most of the people in the city, with several hundred thousand visitors annually. Hindu and Buddhist pilgrims from all over the world visit Kathmandu's religious sites such as Pashupatinath, Swayambhunath, Boudhanath and Budhanilkantha. From a mere 6,179 tourists in 1961/62, the number increased to 491,504 in 1999/2000. Following the end of the Maoist insurgency, there was a significant rise of 509,956 tourist arrivals in 2009. Since then, tourism has improved as the country turned into the Democratic Republic. In economic terms, the foreign exchange registered 3.8% of the GDP in 1995/96 but then started declining. The high level of tourism is attributed to the natural grandeur of the Himalayas and the rich cultural heritage of the country. The neighbourhood of Thamel is Kathmandu's primary traveller's ghetto, packed with guest houses, restaurants, shops, and bookstores, catering to tourists. Another neighbourhood of growing popularity is Jhamel, a name for Jhamsikhel coined to rhyme with Thamel. Jhochhen Tol, also known as Freak Street, is Kathmandu's original traveler's haunt, made popular by the hippies of the 1960s and 1970s; it remains a popular alternative to Thamel. Asan is a bazaar and ceremonial square on the old trade route to Tibet, and provides a fine example of a traditional neighbourhood. With the opening of the tourist industry after the change in the political scenario of Nepal in 1950, the hotel industry drastically improved. Now Kathmandu boasts several luxuries such as the Hyatt Regency, Dwarika's, theYak & Yeti, The Everest Hotel, Hotel Radisson, Hotel De L'Annapurna, The Malla Hotel, Shangri-La Hotel which is not operated by the Shangri-La Hotel Group and The Shanker Hotel. There are several four-star hotels such as Hotel Vaishali, Hotel Narayani, The Blue Star and Grand Hotel. The Garden Hotel, Hotel Ambassador, and Aloha Inn are among the three-star hotels in Kathmandu. Hotels like Hyatt Regency, De L'Annapurna, and Hotel Yak & Yeti are among the five-star hotels providing casinos as well. The ancient trade route between India and Tibet that passed through Kathmandu enabled a fusion of artistic and architectural traditions from other cultures to be amalgamated with local art and architecture. The monuments of Kathmandu City have been influenced over the centuries by Hindu and Buddhist religious practices. The architectural treasure of the Kathmandu valley has been categorized under the well-known seven groups of heritage monuments and buildings. In 2006 UNESCO declared these seven groups of monuments as a World Heritage Site (WHS). The seven monuments zones cover an area of 189 hectares (470 acres), with the buffer zone extending to 2,394 hectares (5,920 acres). The Seven Monument Zones (Mzs) inscribed originally in 1979 and with a minor modification in 2006 are Durbar squares of Hanuman Dhoka, Patan and Bhaktapur, Hindu temples of Pashupatinath and Changunarayan, the Buddhist stupas of Swayambhu and Boudhanath. Durbar Square is a place of palaces. There are three preserved Durbar Squares in Kathmandu valley and one unpreserved in Kirtipur. The Durbar Square of Kathmandu is in the old city and has heritage buildings representing four kingdoms (Kantipur, Lalitpur, Bhaktapur, Kirtipur); the earliest is the Licchavi dynasty. The complex has 50 temples and is distributed in two quadrangles of the Durbar Square. The outer quadrangle has the Kasthamandap, Kumari Ghar, and Shiva-Parvati Temple; the inner quadrangle has the Hanuman Dhoka palace. The squares were severely damaged in the April 2015 Nepal earthquake. Hanuman Dhoka is a complex of structures with the Royal Palace of the Malla kings and of the Shah dynasty. It is spread over five acres. The eastern wing, with ten courtyards, is the oldest part, dating to the mid-16th century. It was expanded by King Pratap Malla in the 17th century with many temples. The royal family lived in this palace until 1886 when they moved to Narayanhiti Palace. The stone inscription outside is in fifteen languages. Kumari Ghar is a palace in the center of the Kathmandu city, next to the Durbar square where a Royal Kumari selected from several Kumaris resides. Kumari, or Kumari Devi, is the tradition of worshipping young pre-pubescent girls as manifestations of the divine female energy or devi in South Asian countries. In Nepal the selection process is very rigorous. Kumari is believed to be the bodily incarnation of the goddess Taleju the Nepali name for Durga, until she menstruates, after which it is believed that the goddess vacates her body. Serious illness or a major loss of blood from an injury are also causes for her to revert to common status. The current Royal Kumari, Matina Shakya, age four, was installed in October 2008 by the Maoist government that replaced the monarchy. Kasthamandap is a three-storeyed temple enshrining an image of Gorakhnath. It was built in the 16th century in pagoda style. The name of Kathmandu is a derivative of the word Kasthamandap. It was built under the reign of King Laxmi Narsingha Malla. Kasthamandap stands at the intersection of two ancient trade routes linking India and Tibet at Maru square. It was originally built as a rest house for travelers. The Pashupatinath Temple is a famous 5th century Hindu temple dedicated to Lord Shiva (Pashupati). On the banks of the Bagmati River in the eastern part of Kathmandu, Pashupatinath Temple is the oldest Hindu temple in Kathmandu. It served as the seat of national deity, Lord Pashupatinath, until Nepal was secularized. However, a significant part of the temple was destroyed by Mughal invaders in the 14th century and little or nothing remains of the original 5th-century temple exterior. The temple as it stands today was built in the 19th century, although the image of the bull and the black four-headed image of Pashupati are at least 300 years old. The temple is a UNESCO World Heritage Site.Shivaratri, or the night of Lord Shiva, is the most important festival that takes place here, attracting thousands of devotees and sadhus. Believers in Pashupatinath who are mainly Hindus are allowed to enter the temple premises, but non-Hindu visitors are allowed to view the temple only from the across the Bagmati River. The priests who perform the services at this temple have been Brahmins from Karnataka, South India since the time of Malla king Yaksha Malla. This tradition is believed to have been started at the request of Adi Shankaracharya who sought to unify the states of Bharatam (Unified India) by encouraging cultural exchange. This procedure is followed in other temples around India, which were sanctified by Adi Shankaracharya. The temple is built in the pagoda style of architecture, with cubic constructions, carved wooden rafters or tundal on which they rest, and two-level roofs made of copper and gold. The Boudhanath, is one of the holiest Buddhist sites in Nepal, along with Swayambhu. It is a very popular tourist site. Boudhanath is known as Khasti by Newars and as Bauddha or Bodhnath by speakers of Nepali. About 11 km (7 mi) from the center and northeastern outskirts of Kathmandu, the stupa's massive mandala makes it one of the largest spherical stupas in Nepal. Boudhanath became a UNESCO World Heritage Site in 1979. The base of the stupa has 108 small depictions of the Dhyani Buddha Amitabha. It is surrounded with a brick wall with 147 niches, each with four or five prayer wheels engraved with the mantra, om mani padme hum. At the northern entrance where visitors must pass is a shrine dedicated to Ajima, the goddess of smallpox. Every year the stupa attracts many Tibetan Buddhist pilgrims who perform full body prostrations in the inner lower enclosure, walk around the stupa with prayer wheels, chant, and pray. Thousands of prayer flags are hoisted up from the top of the stupa downwards and dot the perimeter of the complex. The influx of many Tibetan refugees from China has seen the construction of over 50 Tibetan gompas or monasteries around Boudhanath. Swayambhu is a Buddhist stupa atop a hillock at the northwestern part of the city. This is among the oldest religious sites in Nepal. Although the site is considered Buddhist, it is revered by both Buddhists and Hindus. The stupa consists of a dome at the base; above the dome, there is a cubic structure with the eyes of Buddha looking in all four directions.There are pentagonal Toran above each of the four sides, with statues engraved on them. Behind and above the torana there are thirteen tiers. Above all the tiers, there is a small space above which lies a gajur. Ranipokhari is a historic artificial pond in the heart of Kathmandu. It was built by king Pratap Mall in 1670 AD. A large stone statue of an elephant in south signifies the image of Pratap Malla and his two sons. Rani Pokhari is opened once a year during the final day of Tihar i.e. Bhai Tika and Chhath festival. The world largest Chhath takes place every year in Ranipokhari. The pond is one of Kathmandu's most famous landmarks and is known for its religious and aesthetic significance. Kathmandu valley is described as an enormous treasure house of art and sculptures, which are made of wood, stone, metal, and terracotta, and found in profusion in temples, shrines, stupas, gompas, chaityasm and palaces. The art objects are also seen in street corners, lanes, private courtyards and in open ground. Most art is in the form of icons of gods and goddesses. Kathmandu valley has had this art treasure for a very long time, but received worldwide recognition only after the country opened to the outside world in 1950. The religious art of Nepal and Kathmandu in particular consists of an iconic symbolism of the Mother Goddesses such as: Bhavani, Durga, Gaja-Lakshmi, Hariti-Sitala, Mahsishamardini, Saptamatrika or seven mother goddesses, and Sri-Lakshmi or wealth-goddess. From the 3rd century BCE, apart from the Hindu gods and goddesses, Buddhist monuments from the Ashokan period,it is said that Ashoka visited Nepal in 250 BC have embellished Nepal in general and the valley in particular. These art and architectural edifices encompass three major periods of evolution: the Licchavi or classical period (500 to 900 AD), the post-classical period (1000 to 1400 AD), with strong influence of the Palla art form; the Malla period (1400 onwards) that exhibited explicitly tantric influences coupled with the art of Tibetan Demonology. A broad typology has been ascribed to the decorative designs and carvings created by the people of Nepal. These artists have maintained a blend of Hinduism and Buddhism. The typology, based on the type of material used are: stone art, metal art, wood art, terracotta art, and painting. Kathmandu is home to a number of museums and art galleries, including the National Museum of Nepal and the Natural History Museum of Nepal. Nepal's art and architecture is an amalgamation of two ancient religions, Hinduism and Buddhhism. These are amply reflected in the many temples, shrines, stupas, monasteries, and palaces in the seven well-defined Monument Zones of the Kathmandu valley are part of a UNESCO World Heritage Site. This amalgamation is also reflected in the planning and exhibitions in museums and art galleries throughout Kathmandu and its sister cities of Patan and Bhaktapur. The museums display unique artifacts and paintings from the 5th century CE to the present day, including archeological exportation. The National Museum is in the western part of Kathmandu, near the Swayambhunath stupa in an historical building. This building was constructed in the early 19th century by General Bhimsen Thapa. It is the most important museum in the country, housing an extensive collection of weapons, art and antiquities of historic and cultural importance.The museum was established in 1928 as a collection house of war trophies and weapons, and the initial name of this museum was Chhauni Silkhana or the stone house of arms and ammunition. Given its focus, the museum contains many weapons, including locally made firearms used in wars, leather cannons from the 18th–19th century, and medieval and modern works in wood, bronze, stone and paintings. The Natural History Museum is in the southern foothills of Swayambhunath hill and has a sizeable collection of different species of animals, butterflies, and plants. The museum is noted for its display of species, from prehistoric shells to stuffed animals. The Tribhuvan Museum contains artifacts related to the King Tribhuvan (1906–1955). It has a variety of pieces including his personal belongings, letters and papers, memorabilia related to events he was involved in and a rare collection of photos and paintings of Royal family members. The Mahendra Museum is dedicated to king Mahendra of Nepal (1920–1972). Like the Tribhuvan Museum, it includes his personal belongings such as decorations, stamps, coins and personal notes and manuscripts, but it also has structural reconstructions of his cabinet room and office chamber. The Hanumandhoka Palace, a lavish medieval palace complex in the Durbar, contains three separate museums of historic importance. These museums include the Birendra museum, which contains items related to the second-last monarch, Birendra of Nepal. The enclosed compound of the Narayanhity Palace Museum is in the north-central part of Kathmandu.Narayanhity comes from Narayana, a form of the Hindu god Lord Vishnu, and Hiti, meaning water spout,Vishnu's temple is opposite the palace, and the water spout is east of the main entrance to the precinct. Narayanhity was a new palace, in front of the old palace built in 1915, and was built in 1970 in the form of a contemporary Pagoda. It was built on the occasion of the marriage of King Birenda Bir Bikram Shah, then heir apparent to the throne. The southern gate of the palace is at the crossing of Prithvipath and Darbar Marg roads. The palace has a is fully secured with gates on all sides.This palace was the scene of the Nepali royal massacre. After the fall of the monarchy, it was converted to a museum. The Taragaon Museum presents the modern history of the Kathmandu Valley. It seeks to document 50 years of research and cultural heritage conservation of the Kathmandu Valley, documenting what artists photographers architects anthropologists from abroad had contributed in the second half of the 20th century. The actual structure of the Museum showcases restoration and rehabilitation efforts to preserve the built heritage of Kathmandu. It was designed by Carl Pruscha the master-planner of the Kathmandy Valley in 1970 and constructed in 1971. Restoration works began in 2010 to rehabilitate the Taragaon hostel into the Taragaon Museum. The design uses local brick along with modern architectural design elements, as well as the use of circle, triangles and squares. The Museum is within a short walk from the Boudhnath stupa, which itself can be seen from the Museum tower. Kathmandu is a center for art in Nepal, displaying the work of contemporary artists in the country and also collections of historical artists. Patan in particular is an ancient city noted for its fine arts and crafts. Art in Kathmandu is vibrant, demonstrating a fusion of traditionalism and modern art, derived from a great number of national, Asian, and global influences. Nepali art is commonly divided into two areas: the idealistic traditional painting known as Paubhas in Nepal and perhaps more commonly known as Thangkas in Tibet, closely linked to the country's religious history and on the other hand the contemporary western-style painting, including nature-based compositions or abstract artwork based on Tantric elements and social themes of which painters in Nepal are well noted for. Internationally, the British-based charity, the Kathmandu Contemporary Art Centre is involved with promoting arts in Kathmandu. Kathmandu contains many notable art galleries. The NAFA Gallery, operated by the Arts and crafts Department of the Nepal Academy is housed in Sita Bhavan, a neo-classical old Rana palace. The Srijana Contemporary Art Gallery, inside the Bhrikutimandap Exhibition grounds, hosts the work of contemporary painters and sculptors, and regularly organizes exhibitions. It also runs morning and evening classes in the schools of art. Also of note is the Moti Azima Gallery, in a three-storied building in Bhimsenthan which contains an impressive collection of traditional utensils and handmade dolls and items typical of a medieval Newar house, giving an important insight into Nepali history. The J Art Gallery is also in Kathmandu, near the Royal Palace in Durbarmarg, Kathmandu and displays the artwork of eminent, established Nepali painters. The Nepal Art Council Gallery, in the Babar Mahal, on the way to Tribhuvan International Airport contains artwork of both national and international artists and extensive halls regularly used for art exhibitions. Kathmandu is the centre of music and dance in Nepal, and these art forms are integral to understanding the city. Musical performances are organized in cultural venues. Music is a part of the traditional aspect of Kathmandu. Gunla is the traditional music festival according to Nepal Sambat. Newar music originated in Kathmandu. Furthermore, music from all over Nepal can be found in Kathmandu. A number of hippies visited Kathmandu during the 1970s and introduced rock and roll, rock, and jazz to the city. Kathmandu is noted internationally for its jazz festival, popularly known as Jazzmandu. It is the only jazz festival in the Himalayan region and was established in March 2002. The festival attracts musicians from countries worldwide, such as Australia, Denmark, United States, Benin, and India. This ancient square is crowded with palaces and temples, including the current incarnation of the Kasthamandap or Wooden house that gives the city its name. The square has been occupied since the construction of a palace around 1000AD. This site is the most popular UNESCO World Heritage Site in Nepal. The Square is particularly fascinating in the very early morning as all the various merchants set up their wares and when many devotees make their offerings at the various shrines and temples. There will be a number of young men who will offer to be guides. Be firm with saying no if you are not interested. The entrance fee for foreigners is NPR1000. If you plan to be in the area for more than one day, it's worth being directed to the Site Office where you can exchange your single-entry ticket with a multiple-entry pass allowing you to wander in and out as you wish. You will need your passport and one passport photo. The whole process takes only a few minutes. Your entry pass gives you access to all open parts of Durbar Square as well as the Hanuman Dhoka. If you don't feel like coughing up the slightly hefty entrance fee to enter an area of a city, it is very easy to sneak in Durbar square via small side alleys from the west side. In Nepali, Durbar means "palace" and this is where the monarch was crowned and from where he ruled. It is possible to climb the steps of many of the temples for a better look and to join others seated near the top watching the activity below. - Sweta Bhairab Statue shown only during the Indra Jatra festival. Nasal Chowk Statues, temples and the Rana museum. Located in the Hanuman Dhoka former palace complex, the courtyard was used for royal coronations as recently as 2001. Kathmandu is the starting point for numerous adventures in the rest of the country including trekking, rafting, jungle adventures, and more extreme sports. - Nagarkot (2 days) - offers a great spot for watching surrounding mountain ranges at sunrise or sunset from atop the hill. - Kathmandu. Approximately 1 hour drive and 3 hours hike to the top and back. - Shivapuri Hiking Trek (5 days) displays the best of Nepal’s rural culture, biodiversity and stunning Himalayan views. Trekking Routes to Nagarkot, Gosainkunda, Helambu and the Langtang National Park. - Bungy Jumping - located 3 hours by bus east of Kathmandu, near the border with Tibet, features the 3rd highest bungy jump in the world. Mountain Flights. Most local airlines offer one hour flights over the Himalayas departing between 6:30-9:00 AM from Kathmandu airport, costing US197. Book in advance during the popular tourist season. Liberty Holidays, Kathmandu, With Liberty Holidays, you can always book sightseeing tours, attractions, private day trips, things to do, hotels, rental cars and vacation packages securely online with instant confirmation. Hidden Journeys Nepal, Kathmandu, Hidden Journeys Nepal organizes tours that take guests to visit and learn from Nepal's change makers, i.e. social entrepreneurs, artists, activists and other innovators. There are prearranged tours usually 2 days including a networking session in the evening on specific issues - or you can design your own. Tihar, Festival of Lights Also called Deepawali, A five day festival which takes place each year on the fifteenth day of Kartika, around the end of October/start of November, celebrated by all Hindus with ritual house-cleaning, lanterns, candles, and fireworks. The Nepali version tends to be more picturesque and less explosive than those celebrated in India. Himalayan Blues Festival (October-November), Kathmandu. Himalayan Blues Festival is one of the most acclaimed music festival in Kathmandu. It takes place in the months in Kathmandu. It boasts of having the best venues like the Garden of Dreams and Patan Museum. It also happens in many bars and different hotel venues. It features musicians from all around the world. Dashain (October- November) is a 15 day long national religious festival. The fifteen days of celebration occur during the bright lunar fortnight ending on the day of the full moon. You’ll see animal sacrifices, barley seeds being sown, and hopes for a good year to come. Rangjung Yeshe Institute. An international institute for Buddhist higher studies in Baudha - modeled on a traditional Tibetan Buddhist College. The Institute is affiliated with Kathmandu University, and located on the premises of the monastery Ka-Nying short for Kagyu and Nyingma. Shedrup Ling. It offers bachelors and masters degrees in Buddhist Studies with Himalayan Language (Tibetan, Nepali, and Sanskrit), as well as six week stand alone intensive courses in each. Kopan Monastery. Founded by Lama Yeshe and Lama Zopa as the core of what has become an international network of Gelugpa dharma centres, the Foundation for the Preservation of the Mahayana Tradition (FPMT). Located near Baudha, Kopan offers ten-day meditation courses regularly throughout the year, and a month-long course (for which it is famous) every November-to-December. Reservations are necessary. Nepal Vipassana Centres. Vipassana Meditation a popular Buddhist Meditation as taught by S. N. Goenka. Osho Tapoban Forest Retreat. Nagarjun Forest (Raniban). Bikram Yoga College of India, Daily hot yoga classes in the heart of Thamel on a drop-in or monthly basis. Patanjali Yoga Centre. The first residential school of Yoga in Nepal. Satyananda Yoga Centre. Group and individual courses. Yoga Camps. Sadhana Bhumi Himalaya For Life Research, Yoga and Naturopathy retreat centre offers ancient traditional yoga combined with modern yoga style in the best natural environment. Pranamaya Yoga, Offers 3-day yoga and mediation retreats, daily classes in eight yoga disciplines, and experiments with singing bowl healing therapy and often has guest teachers from other countries. The Healing Hands Centre. Classes in Ancient Massage / Thai Massage. Five-day course, ten-day course and one-month professional course, runs every month and recognized by THAI Thai Healing Alliance International worldwide and Natural Health Practitioners of Canada (NHPC). The Himalayan Healers,inside Hotel Ambassador, Lajimpat, offers 500 hours of internationally accredited massage therapy training. Along with being featured on CNN as a Top 28 Spa in Asia, they were also recognized as Top 10 Philanthropic Cause by Asia Spa. TU Central Library. It is one of the largest library of Nepal situated within Tribhuvan University premise at Kirtipur. You can get there by regular bus or micro-bus for Kirtipur. It has a large collection of old and new books, journals and newspaper. British Council Library It is in Lainchaur beside British Embassy. KEEP Kathmandu Environmental Education Project have a centre in Kathmandu behind Kilroy's, which provides environmental information about Nepal. They provide books for trekkers to record their experiences in for others to read before they set off. You can ask to see a BBC film entitled "Bearing the Burden" about Nepalese porters. They also provide a water bottle refill service that is also cheaper than buying new bottles (Rs 10). You can also buy there some biodegradable soap and iodine for your trek. There are many ATM machines in Thamel, however, not all accept foreign cards. Those that do implement a charge of NPR500 per transaction, SBI bank charging even PR 700. Nabil Bank ATMs have the highest withdrawal limit of NPR35,000 per transaction. All shops will accept Nepali rupees and Indian Rupees and many will also accept US dollars. Indian SBI card can be used with Nepal SBI bank with very small fee (~50 NPR) and no conversion fee. If you are staying in Thamel, the Shop Right Supermarket, near Kathmandu Guest House, offers the biggest choice for basic necessities and snacks, including NPR15 for a 1L bottle of water. But in general, it's probably the most expensive supermarket in Thamel. Most shop tend to charge more for tourist. They can even ask for NPR 25, 30 or 32 for 1L bottle of water. Expect to pay more than MRP for most products. Kathmandu is a great place to stock up or trade in reading material. Used bookstores cover everything from backpacker favorites, to classics, to local history and culture. Vajra Books, Jyatha, Thamel very near to Chikusa Cafe. Huge selection of books on Buddhism, Nepal and Tibet studies. Pilgrims in Thamel next to the Kathmandu Guest house was the largest and most well-established English language bookshop in Kathmandu, until it burned in May 2013. Visit their near by outlet – Pilgrims Book House on JP Road, Thamel; opposite to Helena’s Restaurant. Tibet Book Store, Thamel on the road leading in from the palace. Good selection of books on vajrayana and Tibet studies. Second Hand. The alleys of Thamel are full of second hand book shops. Check around for a good price, as they do vary immensely. Return read books for 50% buyback or store credit. Ekta Books. Huge collection of almost all types of books is found in Ekta Books, which is in Thapathali near Norvic Hospital. Mandala Book Point, Kantipath. Probably the best for all types of reference, academic texts, tourist books and maps. Mandala also publishes books on sociology, anthropology, culture, politics and history of Nepal. It also a centre for most scholars visiting Nepal, and patrons are encouraged to take part in the lively and informative discussions that frequently occur within the shop every evening. The most reliable shop for The Economist and International Herald Tribune. Located on the east side of Kantipath just south of the Mountain Hotel and Nabil Bank building. Educational Books, Kantipath, across the street from Mandala, has a very good selection and friendly staff. Quixote's Cove: the bookshop, Jawalakhel. Located next to New Orleans Cafe in Jawalakhel, this bookshop is housed in an old 1930s building and combines a great collection of fiction with a marvelously cosy environment. The staple food of most people in Kathmandu is dal bhat. This consists of rice and lentil soup, generally served with vegetable curries, achar and sometimes Chutney. Momo, a type of Nepali version of Tibetan dumpling, has become prominent in Nepal with many street vendors and restaurants selling it. It is one of the most popular fast foods in Kathmandu. Various Nepali variants of momo including buff (i.e. buffalo) momo, chicken momo, and vegetarian momo are famous in Kathmandu. Most of the cuisines found in Kathmandu are non-vegetarian. However, the practice of vegetarianism is not uncommon, and vegetarian cuisines can be found throughout the city. Consumption of beef is very uncommon and considered taboo in many places. Buff (meat of water buffalo) is very common. There is a strong tradition of buff consumption in Kathmandu, especially among Newars, which is not found in other parts of Nepal. Consumption of pork was considered taboo until a few decades ago. Due to the intermixing with Kirat cuisine from eastern Nepal, pork has found a place in Kathmandu dishes. A fringe population of devout Hindus and Muslims consider it taboo. The Muslims forbid eating buff as from Quran while Hindus eat all varieties except Cow's meat as they consider Cow to be a goddess and symbol of purity. The chief breakfast for locals and visitors is mostly Momo or Chowmein. Kathmandu had only one western-style restaurant in 1955. A large number of restaurants in Kathmandu have since opened, catering Nepali cuisine, Tibetan cuisine, Chinese cuisine and Indian cuisine in particular. Many other restaurants have opened to accommodate locals, expatriates, and tourists. The growth of tourism in Kathmandu has led to culinary creativity and the development of hybrid foods to accommodate for tourists such as American chop suey, which is a sweet-and-sour sauce with crispy noodles with a fried egg commonly added on top and other westernized adaptations of traditional cuisine. Continental cuisine can be found in selected places. International chain restaurants are rare, but some outlets of Pizza Hut and KFC have recently opened there. It also has several outlets of the international ice-cream chain Baskin-Robbins. Kathmandu has a larger proportion of tea drinkers than coffee drinkers. Tea is widely served but is extremely weak by western standards. It is richer and contains tea leaves boiled with milk, sugar and spices. Alcohol is widely drunk, and there are numerous local variants of alcoholic beverages. Drinking and driving is illegal, and authorities have a zero tolerance policy. Ailaa and thwon alcohol made from rice are the alcoholic beverages of Kathmandu, found in all the local bhattis alcohol serving eateries. Chhyaang, tongba fermented millet or barley and rakshi are alcoholic beverages from other parts of Nepal which are found in Kathmandu. However, shops and bars in Kathmandu widely sell western and Nepali beers. The most popular food in Kathmandu could be the momo, a dumpling which has its roots in the Tibetan mountains. They are available fried or steamed and stuffed with buffalo, chicken, or veggies. Prices can vary depending on the location and what they are filled with, but expect to pay between NPR80-250 for a dozen. Kathmandu is also a good place to sample traditional Newari and Tibetan dishes. There are dozens of tourist restaurants clustered in the Thamel district serving everything from Middle Eastern to Mexican food. Indian and Nepali dishes are always the best tasting and the best priced. Don't hesitate to state your preference for spiciness. Visitors venturing into smaller places are often rewarded with better prices and friendlier staff. A few good places to eat, such as the Ganesh restaurant halfway along the street next to a small shrine. Try the cakes at the tiny, bright blue Snowman cakeshop. If you're looking for a quick cheap snack of tasty curry or momo check out the small roadside stand across the ring road right at the airport. With your back towards the airport its just 200 m left of the Airport Hotel, at the junction of a small dirt road. Angan, on the corner behind the King's statue roundabout. A good place to have ice cream (NPR35), Indian traditional sweets or freshly prepared Masala Dhosa which is curry in a crisp savory crêpe, NPR65-75. Sweets in the front, fast food restaurant in the back. The bhel poori is spicy. This is the heart of the Nepalis' upmarket shopping district, where New Road and Dharma Path meet. Walk west from here on the pedestrian street to Freak Street, the outdoor craft market, the old Red Palace and the many temples of Durbar square. Bakery Cafe There are several outlets of this chain restaurant all around Kathmandu and Patan. A great place to have momos, beer and sizzlers which is steak with butter sauce and noodles. Can be considered the McDonald's of Nepal due to its popularity. Although it isn't fast food, you can find great food here that is prepared within 15 minutes. Most of the staff are deaf, so your money is going to a good cause. Bawarchi Superb Indian and Chinese food, specializing in kathi rolls which are a fried, flat bread wrap with spicy meat, paneer or veg filling. Great for lunchtime snacks or evening meals. Their three locations can be found opposite the Ambassador Hotel on Lazimpat; on the Maharajgunj, near the UNHCR and American Embassy; and in the Barryo Fiesta foodcourt next to Mike's Breakfast. One of the few expatriate-friendly restaurants with delivery. Chez Caroline The place to be seen in Kathmandu, set in Babar Mahal revisited, just off the main Thapathali junction, near the old parliament building. Excellent French food and salads. 700-900 for a main. Ask a taxi driver to find it. Mike's Breakfast is a brisk 15 minute walk from Thamel Taxi Stand, but confusing with one-way streets. Take a rickshaw or taxi the first time, & mark it on one of the free hotel KTM maps. The best pancakes in Nepal, and now other meals, too. Mostly outdoor tables under bamboo shelters + available indoor screened dining. New Natraj Tandoori Cheap, plentiful and delicious Indian food. Not to be confused with the Natraj tandoori a few doors down. Opposite the Shangri-La hotel on Lazimpat. Pizza Express While not quite on par with Roadhouse Cafe or Fire and Ice, Pizza Express makes a tasty product from their locations in Lazimpat and in Basantbur Plaza. They are unique in that they are the only mainstream pizza shop with delivery in Kathmandu. The fast-food style decor and focus on delivery and take-out are reflected both in their prices and quick service. Roadhouse Cafe maintains locations outside of Thamel in Bhat Bhatteni, one block north of the Bhat Bateni supermarket, and Pulchowk. Wunjala Moskva Tucked away in Naxal district, delicious Newari food in a beautiful setting; performances on the courtyard of the restaurant, and unlimited shots of local booze. Nepal is a coffee producing country, though the people are famously tea drinkers. Most often coffee is of the instant-type, although fresh coffee is available. When ordering, try ordering strong coffee, as opposed to just coffee, if you don't want instant coffee. Bakery Cafe Also serves good coffee at some outlets. The one in Sundhara near Dharahara has the best. The chain also has one of the best espresso equipment around, hence the good quality. Chikusa Cafe, Jyatha road, Thamel. Nepali coffee, Sandwiches and crêpes. Strawberry lassi is a specialty. Now they have wi-fi too; just ask for the password. Galleria Cafeat thamel.Relaxing lounge serving illy coffee and wine. Higher Ground Cafe, Jawalakhel, Patan. Excellent lattes and fresh cinnamon rolls. Himalayan Java. Everything you ever wanted in a coffee shop, great coffees, meals, desserts, newspapers, sofas, Large screen TV, even a guitar on the wall that says,Play me. Meet the teenage elite of Kathmandu here. Upstairs, the last building on the left as you leave Thamel heading for the former Royal Palace, near a sign for an Apple computer shop. One floor above it is a bar and pizza shop from which you can also order Himalayan Java's coffee. Several other Himalayan Java outlets include Civil Mall, Bluebird Mall complex, Moksh restaurant, and Star Mall. Just Juice and Shakes. Coffee drinks, espresso, Cappuccino, and juice and shakes, sweet rolls, etc., too. See 'Eat' above for location. La Dolce Vita at Thamel has ILLY COFFEE- Italy's favorite coffee,dont forget to order their mouth watering desserts when you are having your cup of coffee. Magic Beans at Kingsway. There's an open lounge called Sherpa Mall and when you enter it, Magic Beans is on the first floor to the right side. A lot of varieties, and quick service. Accompanied by soft music, mostly pop and soft-rock. Mike's Breakfast Get unlimited refills of fresh ground drip coffee for Rs.75. Roadhouse Cafe at Thamel, Bhat Bhatteni or Pulchowk, has ILLY COFFEE-Italy's favorite coffee (single or double), Cappuccino, Cafe Mocha, etc. Accompany your coffee with the selection of desserts,Tiramisu is the best you can find in Thamel. The Coffee Point at Thapathali Road. Propped up at Kanchenjunga Housing premise in Trade Tower Nepal (TTN) opposite the Rashtra Banijya Bank, before Nepal Rastra bank and beside Khadya Sangsthan,Nepal Food Corporation. Delicious cups of White Mochas, Cappuccinos, Lattes and Espressos and scrumptious Blended Java Chips Caramel and Blended Mochas. Beer and mixed drinks are available at almost every bar and restaurant. For a quick drink and cheap cultural experience, try the local Nepali wine (raksi) or Nepali Beer chang, neither of which taste anything like their namesakes. Gorkha Beer, Everest Beer, Nepal Ice, San Miguel, Carlsberg, and Tuborg beer are the principal conventional beers served in Kathmandu. Local beers tend to be more reliable than the imports. Celtic Manang Irish bar, run by Mary from Cork. Over some shops, not far from Kathmandu Guest House. Mighty crack on St Patrick's Day. Everest Irish Pub a newly opened Irish Pub where you can have Guinness, foods and music along with friendly and excellent ambience. House of Music is largely frequented by locals and expats for its focus on original live Nepali music - from rock to reggae, himalayan blues to jazz (rarely covers). Artists featured are up-and-coming and popular Nepali bands. Food bar snacks/Asian fusion and drinks served. H2O a cool hang-out place with live music. The bar serves a good selection of food and drinks with a complimentary popcorn! Amazing atmosphere and really friendly staff will make you come back every night. Irish Pub Lazimpat, next to Shanker Hotel. Irish dishes, a great variety of beer also Guinness and whisky international and local, Irish Coffee and Creamy Irish Coffee cocktails, mocktails, energy cocktails, summer cocktails, shooters try Irish Flag. During the cold season, you can also find hot winter drinks. Friday nights live music, dart. Well trained, friendly staff. Run under German management. J Bar. The place to be seen for young and hip Nepalis. Entrance varies but is often 500-1000 on Friday nights with 2 free drinks. Live DJs, sometimes from India or abroad. Behind Himalayan Java. Jessy Penny, Freak Street. A nice bar in Freak Street on several floors. Each floor has a its own atmosphere. It is also possible to have shishas at the first floor. Jump Club. Locals and ex-pats as well as tourist crowd; one of the few dance clubs in Kathmandu. Maya Cocktail Bar. 2-for-1 specials on mixed drinks at happy hour, 16:00-20:00 in this friendly spot. Next to Star Hotel. New Orleans Cafe. Opposite Kathmandu guest house, live music on many nights. Described by its manager as the most happening place in Kathmandu. Make of that what you will. Pub Maya. Laid back sports bar version of Cocktail Bar. Free popcorn and 2-for-1 happy hour drinks. Tom and Jerry's Pub A busy, fun bar with pool tables, a wide selection of cocktails and beers as well as friendly staff. Very much a tourist hang out. However avoided by local expats after several incidents with aggressive rats. Sam's A cozy nook upstairs with years of wisdom or random song lyrics scrawled on the walls. The usual drinks and usual ex-pat crowd. Tongues and Tales. Chilled, smoke-friendly cocktail bar with comfortable seating and good music. Upstairs, look for the sign at the doorway halfway downhill on the road between Hot Breads corner and Steak House street. A good place to hear about parties. Most tourist accommodations are located in Thamel, near the Kathmandu Guesthouse. Upscale hotels tend to be a few blocks away on Durbar Marg near the former Royal Palace. A few guest houses still remain on Freak Street below Durbar Square, they tend to be somewhat cheaper, and a bit less well cared for than Thamel, but the neighbourhood is quieter and there are fewer touts though there tend to be more pickpockets. Remember any tout on the street who takes you to a place, their commission will be included in the price. Best to find a place on your own and cheaper. Prices can range from NPR500-35,000 for a double room. Truly Asia Boutique Hotel, J.P. Marg, Thamel, Kathmandu 44616, Nepal Next to penguin hotel. checkout: 12:00. Truly Asia Boutique Hotel perfectly blends a discreet Nepali ambience with the contemporary 5 star touches expected by the modern traveler. You can find an excellent example of amusing stay of luxury accommodation at Truly Asia Boutique Hotel. It is all brought together by a team dedicated to ensuring a comfortable stay and anticipating your every whim as you relax in this sumptuous hotel. Boutique hotel in kathmandu starting price from $10;. Cozy Corner Guesthouse, Thamel Chowk Enter the small alley opposite Shop Right Supermarket. checkout: 12:00. A cozy place indeed! Reasonably clean rooms with/without bathroom, amazingly friendly staff and a superhandy rooftop kitchen! Be lucky and enjoy one of Sanu's delicious dishes. You can also do cooking classes with him. For only 400 rupees you can learn how to cook two dishes, Nepalese, Tibetan or Indian from this supergenuine guy, in a cozy atmosphere. Cost per class and person: rp400 only. Classes are held after reservation at 5pm. Shopping trips to the local food market can also be arranged. Double with/without private bath: NPR700/500. Dormitory Nepal, Geetanjali Marg, Kathmandu 44616, Nepal,Near Chundevi Temple. checkout: 12:00. The love for communication with travelers from all around the world brought together like minded young entrepreneurs to open this Youth Hostel in Kathmandu. It all started over a small talk with the backpackers in the mountains, in 2013 and here we are today as Dormitory Nepal. Call Sameer Dhakal in advance, Cost per class and person: $5 only! Classes are held after reservation at 5pm. Shopping trips to the local food market can also be arranged. Bunk Bed in budget Price $5/night. Alobar1000, 214 Kesar Mahal Marg, Thamel-29,Just follow the side street beside Himalayan Java Coffee shop and you'll see the yellow and green building on your right. Right across the street from Fire and Ice Pizza. Two beautifully designed homes with a bar and restaurant on the rooftop, cozy lounge and common areas, TV, dining hall and communal kitchen. They also have 24 hr hot shower. The staff treats you like family here. There's also a guard at the door, free and strong Wi-Fi and people congregate on the rooftop lounge nightly. It's a great place to meet other travelers. The only real hostel environment. You must visit there once. Dorm bed: NPR350; Private room NPR1,400. Avalon House, Thamel, Kathmandu, Nepal,Lekhnathmarg. checkin: 24 hours; checkout: 12 noon. Avalon House is a newly opened hostel with modern facility established by a group of Elbrus Home. It has modern rooms with bath, television, wifi, internet access, nice terrace, restaurant. There is solar hot water and separate solar powered for lights during power outages. It is walking distance to all airlines, travel agent etc. Breakfast is included. Single: USD12, Double:USD20. Hotel Prince Plaza, Sanugaucharan, Kathmandu, Nepal,Ganewshormarg. checkin: 24 hours; checkout: 12 noon. After two successful ventures in the name of Hotel crown plaza and Hotel Shivam plaza, we have come with a concept of budget corporate hotel in Nepal. It has been 9 years since Crown plaza came to operation. It has its own benchmark and has made its reputation as the sports hotel of the country. With 33 rooms, well-trained staff and experienced management, Crown Plaza is beating its own best every year. With similar intentions we have constructed Hotel Prince Plaza. Single: USD12, Double:USD20, Super Deluxe :USD25. Chillout Resort, corner of Thamel and Jyatha. It has a nice rooftop garden restaurant with good food and cool staff that can help you out with pretty much anything. Newly renovated rooms with clean private bathrooms that have hot/cold showers. Theres also free Wi-Fi in rooms, restaurant and lobby. Airport pick-up and drop-off. Dorm: USD6; Single: USD10. Hotel Ashoka, Jyatha, Thamel, Kathmandu (Walk from Ratna Park via Rani Pokhari Lake and Skywalk, Before Honda Showroom. 3 beds, 4 beds in a room available and suitable for family with kids, bigger groups & large families on budget. A diner, bar, laundry, barber, provision store are nearby and it is walking easily accessible to Ratna Park for onward journey and trips. Hotel Backpackers. nice garden and free wi-fi and very friendly staff around. Hot water is running 24 hrs NPR500-1,000. Hotel Blue Horizon,opposite Himalayan bank. Friendly staff, and good room service breakfasts. USD12-27. Hotel Down Town, (Satghumti area of Thamel,just around the corner from the Kathmandu Guest House. Surrounded by dance bars, but nice rooftop and rooms. USD5. Hotel Easy. Managing director Bhuwan gives a warm welcome. Free airport pickup. NPR700. Hotel Great Wall. A very friendly owner and staff who are very helpful and even run a travel agency inside the hotel for all your trekking needs. Comfortable good sized rooms with excellent views over Thamel and the Kathmandu valley from the roof. Single: From USD20; Double: From USD25. Hotel Impala Garden. Cool place in town! From USD20. Hotel Lucky Star, Central Thamel at Kumari Gate. Clean rooms with many amenities. Single: From USD 17; Double: From USD23. Hotel Silver Home. Free airport pickup. Pretty rooms with private bathrooms 24/7 full time running hot cold shower system. Pleasant herbal remedy grows just outside and can be employed to relaxing effect From USD8. Hotel Travelers Home, JP Road, Thamel, Kathmandu. checkin: 10AM; checkout: 12PM. Ncie hotel.. USD35-45. Kathmandu City Hotel. Located at the central location in Thamel. New hotel with good room and reasonable price. 15-30 USD. Kathmandu Peace Guesthouse. Not to be mistaken for the pricier and up-scale, but not so peaceful name brother, Kathmandu Guesthouse. This guesthouse is in a more peaceful area just outside Thamel. 8-21 USD. King's Land, Thamel-29, Bhagawatishan. Family run hotel. The owner and his wife are very friendly and helpful. The rooms are old but clean. Wifi, hot water, roof top available. 6-15$. Kohinoor Inn Hotel, Jyatha. Very nice and one of the oldest hotels in the area, recently renovated and perfectly clean. Located near to the old city and the main transportation lines. Very efficient staff, especially for Nepal. The hotel includes a very reasonably priced restaurant with excellent Burgers and Momo's. A private clinic is located nearby. Free Wi-fi. Jyatha marg, Kantipath, Kathmandu, Nepal. First street on the right after Honda showroom on Kantipath avenue. Then walk 100m inside the street. The hotel is on the right side. Prices range from approx. 500-700 Nrs. Discounts for longer stay. Lhasa Guest House, Jyatha, its on the quiet side of Thamel. A very friendly and helpful staff, lived in Kathmandu all their lives, rooms are large, clean, and have hot water when power is on. Has free bag storage while you go on a trek, so long as you spend a night or two here. The best thing is this place has free wifi that doesn't shut off - even when the power goes down! NPR800. Mahadev Guest House, Kathmandu -11, Pokhara line, Sundhara Behind Civil Mall Main Road, Sundhara. checkin: 04:00 AM; checkout: 12:00 PM. Mahadev Guest House is down a quiet back alley off the main center of Sundhara, Kathmandu. An enviable location near the major shopping and business area hotels, trekking shops, restaurants, pubs. It is budget friendly with clean accommodations. Great for backpacker travelers. See the sunrise and sunset over an amazing mountain and Kathmandu valley view from out roof-top terrace. 500-1600 Nepali Rupee(NPR). Millennium Guest House, Kaldhara, Thamel in front of the International Guest House. Decent cheap guesthouse just outside Thamel, quiet area, nice terrace. 5-10 USD. Nirvana Peace Home, Paknajol, near Thamel. Sacred Valley Inn - Kathmandu, Brahma Kumari Marg, Thamel, Kathmandu. checkin: 1 pm; checkout: 12 noon. Lovely rooms in this clean, comfortable hotel in Thamel. Great location - close to all the action but on a quieter lane. Good rooftop area to sit and relax and eat. Simple but delicious food served in the restaurant. Helpful knowledgeable staff. USD25-50. Sanu's House, Gwarko, Patan, Kathmandu, Nepal,Across Ring Road from the B&B hospital, then 50 meters North-NE. Large 5 story house run by friendly/caring Nepali Buddhist family. 15 min walk to Patan Durbar Square. 50 meter walk to bus stop/taxis. 24hr WiFi. Great views from roof & upper floors. Organic veggie lunch or dinner (200 rupees). all rooms include breakfast, single/double without bathroom, s/d with : NRP 700/1100, 900/1400..
Shangrila Guest House Jyatha, Thamel. Fun and friendly guest house on the edge of Thamel but with dubious business practices and not particularly clean and pressing for business and water was orange colour no hotwater. Sparkling Turtle Backpackers Hostel Outside of Thamel, near the Swayambunath Temple, this place is quiet, full of backpackers, and serves incredible food. Only Rs 300/ night including breakfast. In the process of installing a pizza oven. Free wifi, cool roof terrace, bar, Canadian managed. Impossible to find as they don't really advertise. Get a cab or walk to Buddha Park near Swayambunath. Student Guest House, close to Tamel chowk. Friendly staff who will always try and help you out, although you might have to tell Suraj about the non-working lamp a couple of times before he remembers. On the edge of Thamel, easy to find. Internet is availbale at the entrance as well as a laundry service. Rs 600 for a double room. Sun Rise Cottage, Chhetrapati, next to Tibet Guesthouse. Nice family run guesthouse in a quiet street just south of central Thamel, lovely big rooms, simple furnishings, clean and with hot water 24hrs. Great garden area to relax and really friendly family. NPR500-800. Swayambhu View Guest House, Swayambhu, Kimdol Marg, Devithan Galli str. 600/179. Comfortable and cozy europe-style guest house with spectacular view to Swayambhu Stupa and surroundings.Furnished double rooms with private facilities, 24 hr hot water. Thorong Peak Guest House. Nice hotel! USD20-50. 327 Thamel Hostel, 327/32 Thamel Marg, Thamel-29,Located in the heart of Thamel tourist district. checkin: 12pm; checkout: 12pm. Boutique hostel. 6 private rooms and 48 hostel beds. There is fun and diverse crew, most of who hails from different ethnic backgrounds. A cafe and restaurant on the ground floor which offers western breakfast and Korean food from 7am to 10pm. Free Wi-Fi. Check-in after 12pm and check-out before 12pm.24-hour front desk and secure lockers for dorms. 350. Hotel Yambu, Thamel. Yambu name given by Tibetans and other ethnic people living in the Himalayan region to Kathmandu. In other words, Yambu means The Northern Land. This hotel is located just 8 km from Tribhuvan International Airport, near Thamel; the tourist hub of Kathmandu and one of the most happening places in town. This hotel offers efficient service to our guest and is suitable for both leisure and business traveler also a view of natural scene and magnificent Himalayan ranges from the top of hotel. Himanshu homestay and Nepali cooking class, Nagarjun, Banasthali, Ekaltar, Kathmandu, Nepal,Just Below Raniban - Leave Ring Road at DhungeDhara, Erahiti then 1.8 KM North, near Radha Krishna Temple. 4 km from Thamel & 9 km from airport. checkin: 1200; checkout: 1100. Clean - Himanshu Home stay, it is a new home but built by ancient style brick and wood. The windows are over 60 years old and the bricks are traditional Da Chi Pa the terra cotta style brick which they used to built Temples in Kathmandu valley UNESCO world heritage sites. Run by friendly Nepali family. Organic veggie lunch & dinner, nepali meal cooking class, Great views from roof and nepali rural life Singles: 2100 nrp (27 US) per person, per night -includes breakfast. Hotel Ambassador, Lazimbat. Around 10 minutes walk from Thamel, so the environment is not as hectic, but the bars are still at a walking distance. It includes unlimited free use of internet in the two computers on the lobby 2.500 NPR Per person in double room. Hotel Encounter Nepal. In the north Thamel about 20 metres down from the Map of Thamel, 4 minutes' walk from the centre of Thamel. Clean, peaceful place with free Wifi, computers, garden restaurant & friendly staff. In the hotel there is also the office of Alpine Club of Himalaya, where you can book tours, etc. Rooms rates begin at 15USD. Hotel Garuda. Private bathrooms, sheets, towels, etc. Some rooms with AC and balconies USD20-49. Hotel Ganesh Himal', Just south of Thamel. Decent rooms, good service. USD15-35. Hotel Harati, Located on the main street from/through Thamel into Durbar Square. Clean, hygienic and comfortable rooms, including en-suites with hot showers most of the time. USD50-100, negotiable. Hotel Pariwar B&B, Ganeshman Street, Thamel, Kathmandu, Nepal,Front of Road House Cafe. checkin: Any Time; checkout: 12:00 Noon. Pariwar The Family Bed and Breakfast - one of the finest Boutique B&B in the town located at the centre of Thamel district's Ganesh Man Street. The Pariwar B&B is situated just 20 meters south from the famous Thamel Centre, also widely known as Kathmandu Guest House Centre. Around here you will find major shopping areas, nice restaurants & bars and actual Kathmandu nightlife. Pariwar features stylishly furnished boutique design rooms with free Wi-Fi and satellite LED wide screen TV as well as 24 hrs room service and hot water. USD15-75. Hotel Utse, Jyatha - Thamel. The hotel has a quaint and homely Tibetan theme and rooms are also clean, hygienic and comfortable. The hotel has a restaurant on the ground floor that serves Tibetan/Chinese/Continental cuisine (open 6AM to 10PM), in addition to a rooftop terrace. USD25-45. Kathmandu Guesthouse. rooms ranging from basic to almost-fancy. Restaurant and bar. WiFi internet access (semi-reliable) from lobby, garden and some rooms for 75 NPR/hr. Otherwise, 4 computers with internet access until midnight, 60 R/hour. The guest house has a sister concern in Pokhara. Tibet Guest House. Home away from Home. Serving since 1984. Total rooms 102 with 24 hours room service. Free WiFi internet access, coffee shop, beauty parlour and travel desk for travellers. USD40-100. Traditional Homes - SWOTHA, Swotha Tol Ward 18 50 metres away North of Patan Durbar Square, opposite to Narayan Temple. checkin: 13:00; checkout: 12:00. Beautifully renovated Newari house in the heart of Patan, just on the side of Patan Durbar square. Here you will enjoy minimalist luxury and live a unique experience in the heart of the medieval city centre surrounded with its palace complex, lavish temples, and bustling bazaar. Traditional Homes Swotha has seven comfortable and spacious rooms. All rooms have comfortable beds, free wi-fi, and en-suite bathrooms with hot showers. Most also have their own private balcony. Upstairs, the sunny terrace offers a panoramic view of Patan’s pagoda-strewn roofscape, and beyond it a glimpse of the Himalaya. from (70 US). Dwarika's, Battisputali on the intersection Pashupatinath - Airport 200 m down the road to Battisputali. A fair four-star hotel with unique charm of old newari palace architecture, considered a heritage hotel and one of the most charming in Asia. Clients include those who come specifically for it from around the world. Truly one of a kind. Everyone knows this hotel in Kathmandu which has now also a swimming pool and the renowned restaurant Krishnarpan which serves elaborate multi course nepali dinner (only on reservation). Hotel and restaurant are popular with international high society and diplomats. Hotel d'Annapurna, PO Box 140, Durbar Marg. - Four-star international hotel with all the amenities. Located on Durbar Marg. Very good conference facilities at reasonable rates. Wifi and business centre are very expensive for photocoping, etc.) Starting at $140/night. Hotel Shanker (Hotel Shanker Pvt. Ltd), PO BOX 350, Lazimpat, Kathmandu Just behind the Royal Palace Museum North Gate. checkin: 14:00; checkout: 12:00. - Formerly a Rana palace bought over in 1964. Luxurious 100 year old palace hotel. 4.4 acre property right in the centre of the heart of the city. It was made for Jeet Shamsher Rana then Southern Commanding General of the Army. After Jeet Shamsher’s death, this Palace came under Prime Minister Juddha Shamsher Rana. He passed it on to his son, Agni Shamsher Rana. Late Queen Aishwarya and her two sisters, the erstwhile Queen Komal and Princess Prekshya, all three were born in the durbar. Starts at USD 80. Company Policy 20% Off Flat on Online Booking. Hotel Soaltee Crowne Plaza, Tahachal, western side of Kathmandu. Five star hotel. It also has Al Fresco, the most authentic Italian restaurant in Kathmandu. Although the hotel is rated as a 5 star, it takes a generous person to give it that rating, however that is relative to the other hotels. Double confirm your rooms for preferences smoking or non-smoking and do not get a ground floor room. USD96-600. Hyatt Regency Kathmandu, PO Box 9609, Taragaon, Boudha. Royal Penguin Boutique Hotel, Thamel, Chettrapati. Boutique Hotel with 24 hours electricity, hot water, fast internet, heaters in the room. 13 rooms (4 deluxe, 4 superdeluxe, 4 executive suites and 1 penthouse suite). Fitness-centre, sauna, massage room. Attractions: luxury teak root furniture from Indonesia, large species of petrified wood from Madagascar, installations in every room from South Korea and Singapore, many paintings of Nepali artists on the walls (every room), tibetan style roof top park with swings. Yak and Yeti. A five star hotel located in a converted palace on Durbar Marg. This is a landmark since Nepal first opened to tourism at the end of WW ll. At that time the King was living in exile in Kolkata and was ask to return to govern the nation. He asked Boris Lesonavich, a Russian also in exile to come to Nepal and establish tourist accommodation in Kathmandu. He established the Palace Hotel in a large Rana's palace that was available. He named the nar The Yak and Yeti. Early Everest expeditions put up there and used the grounds to organise their gear for the climb. The present downtown Hotel is also located at the site of an old palace that was at one time the foreign post office for Kathmandu. The beautiful present day hotel was built up around and incorporating the old buildings. USD109-325. Canadian Consular Affairs, the UK Foreign and Commonwealth office, and the US State department provide travel advice. Currently Nepal is safe to visit but caution must be taken. After the Maoists joined the government, Nepal has become relatively peaceful. However, visitors should avoid public demonstrations and may want to register with their consulate on arrival. Although tourists haven't been directly targeted by politically motivated violence, it is possible to be in the wrong place at the wrong time. The frequent strikes that are still held are a major inconvenience for most tourists as all transportation stops, and shops and restaurants close. Power cuts during the dry season can make life in Nepal very difficult. Due to the lack of street lights, tourists should watch out for the double hazards of opportunistic crimes in the darkness, and tripping or twisting ankles when walking the uneven, unlit streets by night. Following the news and government warnings is important. Be sure to check on current road conditions before leaving Kathmandu. Long-haul bus trips through the Eastern Terai are to be avoided as there was a risk of Maoist activity in this area. The most common route being Kathmandu to the border crossing at Karkavitta. There have been numerous reports of Maoists stopping buses and setting them alight, although allowing passengers to disembark first. Check daily newspapers or NepalBandh, for advance warning of planned strikes or bandh, when it may be safe to stay away from the main roads in town. While in Kathmandu, always keep an eye on belongings. Violent crime is rare; pickpockets are not, especially in crowded places. If your hotel room door doesn't have a good lock or safe windows, store valuables on your person or in a hotel safety deposit box at all times. As with any large city, avoid walking alone in unlit areas. Load-shedding, or power cuts, were a central issue in Nepal's most recent election campaign, with Pushpa Kamal Dahal taking office with the promise to end load-shedding in the Kathmandu Valley. A recent review of the region's electric grid found that inefficient management rather than under capacity was the main cause of the power cuts. 24-hour electricity is generally available across most of the Kathmandu Valley. The power supply can still experience some intermittent hiccups now and then, but returning travelers will notice that the 8-12+ hour/day power cuts are now a thing of the past. Water in Kathmandu borders on being lethal, and water borne diseases are rife. Do not, under any circumstances, drink directly from the faucet or take salads and ice unless you have absolute proof that the water used in their preparation has been filtered and boiled. Also, use boiled and filtered water for brushing teeth and avoid swallowing water when taking a shower. Circumstances may differ in private houses or one of the better hotels in Kathmandu. Food can be contaminated and some people suggest that you should eat only at larger restaurants, though larger restaurants are no guarantee against contamination. You may often avoid any stomach infections if you stick strictly to the old rule: Cook it, peel it, or leave it. That is, never eat something that has not been heated properly, except peeled fruit. However, you may use light brown iodine water to disinfect fruit and salad. Be careful of rice, including fried rice, that are not properly heated. Vaccinations for rabies, tetanus, typhoid, and hepatitis are recommended prior to arriving in Kathmandu, and can take several months to complete. Animals, such as bats and monkeys including those at Swayambhunath, may be carriers of rabies and other diseases. Even if you've had the foresight to be vaccinated for rabies prior to traveling in Nepal, treatment following possible exposure is still necessary to prevent infection. If you are bitten, you should go to a clinic immediately for treatment. No cases of avian influenza have been documented in Nepal to date, but it has been confirmed in nearby countries. Birds live in extremely close proximity to humans, both in the market and the home. Ciwec Clinic Travel Medicine Center caters to western travelers and the ex-pat community. It is one of the few places you can get health care at par with western countries in Kathmandu. Located centrally in Lazimpat, across from the British embassy, it is well appointed, but it costs $50 just to be seen by a doctor. National Institute of Neurological and Allied Sciences, run by Dr. Upendra Devkota, also comes at par with some of the western hospitals. Bir Hospital is home to one of the few ENT departments in the country, but should otherwise be avoided. It is a government hospital and is run down and chaotic at best. Most cafes & coffee shops in tourist areas have free WiFi for customers. Computer/internet rentals are almost stacked on top of each other in Thamel & near the stupa at Boudha. You can surf to you heart's content for about 15Rs to 20Rps an hour (10Rps in Putalisadak). Though not adequate for video conferencing the 128-256kbps NTC backbone often used by the cafes is more than adequate for VOIP calling. Please refrain from downloading anything large, as most connections are limited. ISD and STD telephone services are available in almost all internet cafes. Services such as Skype are available in most tourist areas. Kathmandu Valley is home to a number of sacred sites and historical cities. Patan or Lalitpur,7km South of Thamel, across the Bagmati river is one of the largest cities in Nepal. Patan Durbar Square is a UNESCO world heritage site, full of temples, statues, palaces & the must-see attraction of Patan Museum. Kirtipur is one of the oldest settlements in the Kathmandu Valley. Located right next to Patan. Much cleaner air and more quiet than central Kathmandu. Limited accommodation. - Boudhanath,7km NE of Kathmandu is home to at least 29 Buddhist Monasteries & Nunneries & one of the largest Buddhist stupas in the world, the Boudha Stupa, a UNESCO World Heritage Site, built during the 5th century AD. - Namo Buddha is one of the most important Buddhist pilgrimage sites in Nepal and one of the holiest in the world. It is known as the place where the Buddha, in a previous life as a prince, gave his body to a starving tigress and her cubs. - Shivapuri Hill and the Bishnu Muhan (20km N of Kathmandu) is a small spring from where river Bishnumati originates. Stay for a night at the Shivapuri Heights Cottage. Nagarkot (30 km E from Kathmandu, altitude: 2,000m) is just the place for a quick getaway from the bustling capital for some relaxation and outdoor activities. It's an ideal location to watch the sunrise, but plan on leaving early, as traffic jams can happen anywhere and at anytime. The last 5km of the trip is narrow, with lots of curves in the road. Car-sickness is a distinct possibility. The Club Himalaya Resort, located 3km outside of the village, has a great viewing point. Dhulikhel,30 km SE of Kathmandu is a village that offers a nice quiet setting to wander the streets and see the non-tourist side of Nepali life. Dhulikhel Lodge Resort is a nice place for lunch and a view of the mountains. Changunarayan (20km E of Kathmandu) is a small village and home to the ancient temple of Changu Narayan which is part of the UNESCO World Heritage Site Kathmandu Valley. Panauti (32km SE of Kathmandu) is one of the oldest towns in Nepal, consisting of many temples dating back to the 15th Century or earlier. Kakani (30km SE of Kathmandu) is a settlement of 8,000 people famous for its strawberry farms. Commercial domestic flights are available to/from Bhadrapur, Bhairawa, Bharatpur, Biratnagar, Dhangarhi, Janakpur, Nepalganj, Pokhara, Simara, and Tumling Tar. Domestic flights take about an hour and cost USD100-175. The primary domestic airlines are air viva, Yeti, Nepal Airlines, and Buddha Air. Buddha Air has a reputation among local expatriates as the safest domestic airline. Flights are typically delayed more later in the day and therefore it is better to take an early morning flight. The International and Domestic terminals are separate buildings that are a 5-10 minute walk apart, or 2 minute taxi ride. Walking between the two requires going through a parking lot and a small grass lot. Follow the crowds of workers going between the two buildings. Pokhara. 5–8 hours by bus, 40 minutes flight, is a pleasant little city on Phewa Lake. Many visitors use it as a hub for treks and adventure sports. The city is a popular destination for travelers and also features a bustling live music scene. You can buy the ticket straight on the bus on road Kanti Path near Thamel 6.30 in the morning of the departure for NPR600. Swiss Travels agency charged NPR1000 in their own office, avoid these scammers. Khumbu, located near Mount Everest, is a short flight from Kathmandu and offers snow capped peaks and yak caravans carrying goods over mountain passes from Tibet. Friendship Highway(China-Nepal),Nepal travel to Tibet highway.You can ride a bike or take a bus on this road,it represents the friendship between Nepal and China.